« FREE shipping – read the details below! 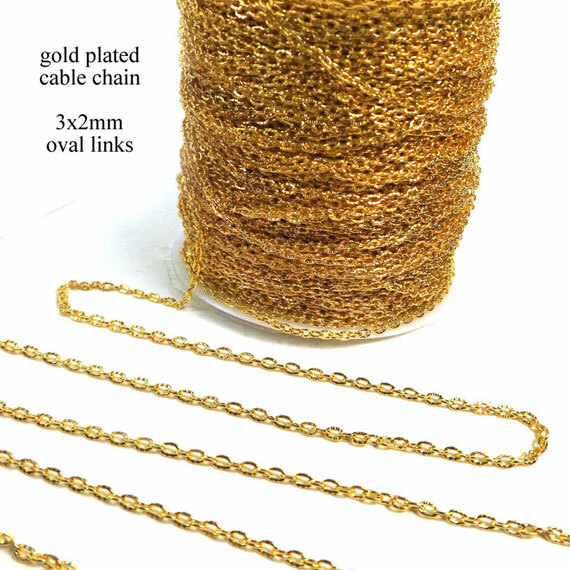 I just got in some gold plated chain – it’s inexpensive, lightweight, and totally fun for DIY jewelry! 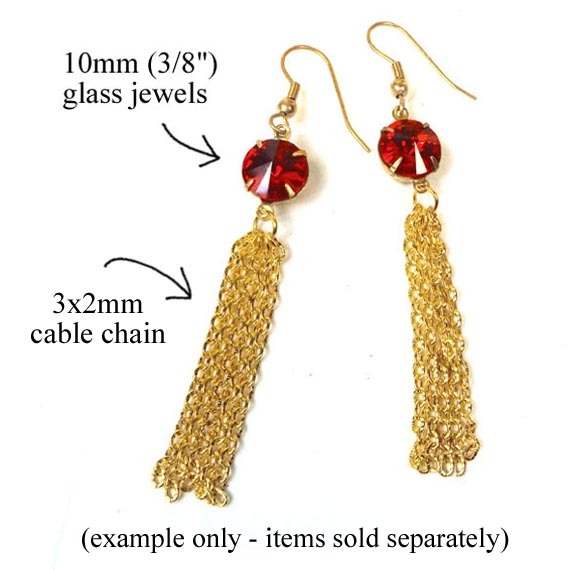 The second pic shows an earring design that’s one of my favorites – using the round glass jewels paired with golden chain ‘tassels’ makes lightweight earrings that have sparkle, and movement, and they are super fun to wear. Also flattering. Also inexpensive, especially with this gold plated chain. It’s not precious, just pretty. But you know, sometimes that’s just what we want!